The Rule of Law for Citizenship Education is a public legal education initiative that empowers young people to become legally-enabled democratic citizens. Since 2014, we have provided high-quality, accessible resources to over two hundred secondary schools across the United Kingdom, enhancing the legal capability of over 10,000 students. The programme is free and open to all educators at secondary level (11-18) that seek to give their students a thorough background in politics, the law and active citizenship. To join the programme click through to our sign up page here. We collaborate with other organisations to improve the quality of our work and have been awarded with quality marks from the Association for Citizenship Teaching and the Citizenship Foundation for our resources. 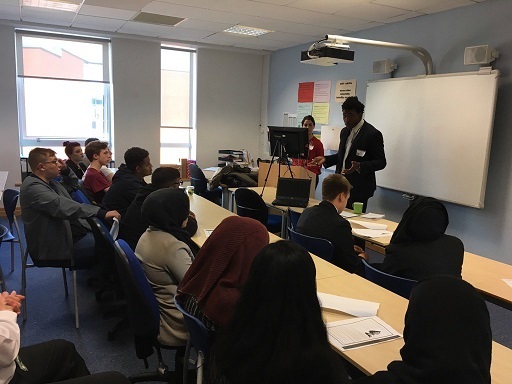 We are thankful for the support that the project has received from the Legal Education Foundation, Lexis Nexis, the Magna Carta Trust, Travers Smith LLP and Mishcon de Reya LLP. Information about the project's advisors can be found here. For more information, please contact schools@binghamcentre.biicl.org.